Dr. John Sylvester is considered a pioneer in prostate cancer brachytherapy, having performed over 6,000 prostate brachytherapy procedures to date. It’s no surprise that he is well-versed in its history. 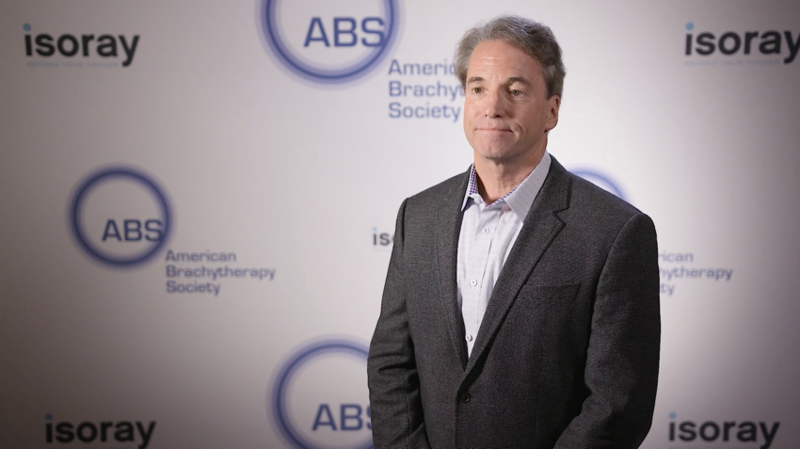 “Brachytherapy was [first] used for prostate cancer in 1911 and it’s just gotten better and better, especially since the advent of ultrasound guidance,” he says. However, the development of new technology brings new treatment modalities that are frequently pressed upon patients in spite of brachytherapy’s efficacy and rapid side effect resolution. Many of these new modalities rely on their novelty alone to gain awareness and adoption. New imaging, customization tools, a new, high energy, short half-life isotope and a preponderance of new outcomes data mark brachytherapy’s continued innovation path and value in prostate cancer treatment when compared with more drastic and costly procedures. “The newer stuff [including proton therapy and robotic surgery] is not matching up to the cure rates of radiation and it also doesn’t have the lower side effects [including incontinence and impotence],” says Sylvester.